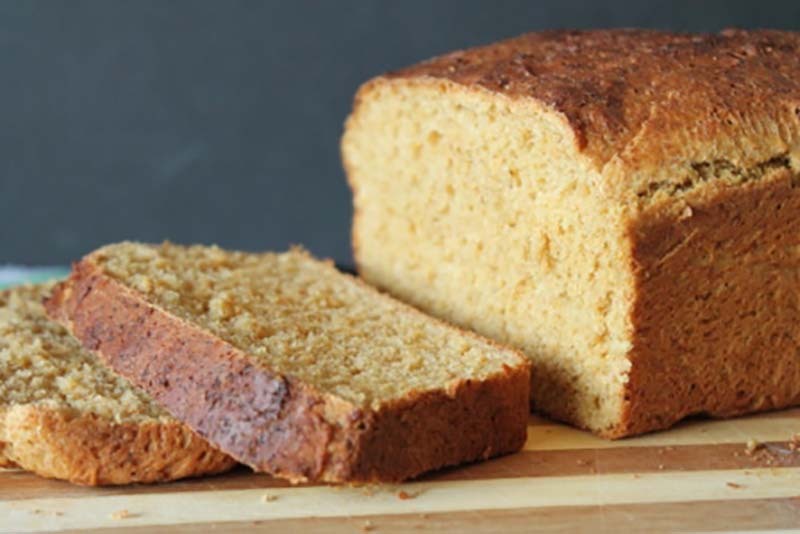 Wheat germ gives a subtle nuttiness, and molasses adds a real depth of flavor to this hearty bread. In large mixer bowl, combine 1½ cups flour, yeast, wheat germ and salt; mix well. Add water (120-130°F), molasses, shortening and egg. Blend at low speed until moistened; beat 3 minutes at medium speed. By hand, gradually stir in remaining flour to make a stiff batter. Cover; let rise until light and doubled, about 1 hour. Stir down batter. Spoon into greased 9 x 5-inch loaf pan or 2 qt. casserole. Cover; let rise in warm place until light, about 45 minutes. Bake at 375°F for 35 to 40 minutes until deep golden brown. Remove from pan; cool. You can substitute Instant (fast-rising) in place of Active Dry Yeast in batter/no knead recipes. When using Instant Yeast, expect your batter/dough to rise faster - about 50% faster. Adjust your rise times accordingly. Traditional methods: use equal amounts; Bread Machine: use ½ tsp Instant Yeast OR ¾ tsp Active Dry Yeast per cup of flour in your recipe. Visit our Lessons in Yeast & Baking for more information.